Sometimes church life is so divided up that the “mission people” and the “Christian Education people” rarely talk, which can make mission education a challenge. 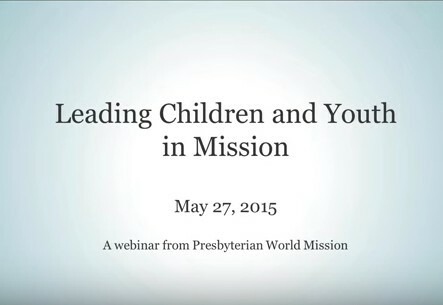 Learn how to bridge these two areas of church life and some foundations for beginning mission education and mission projects with children. Led by Christine Coy Fohr, Consultant for Mission leaders with Presbyterian World Mission, with guest Michelle Muñiz-Vega, site coordinator for the Young Adult Volunteer program in Miami, Florida.